Locate your climate zone on the map above and provide your square footage and we’ll determine how many BTUs your heating system should have. A British Thermal Unit, or BTU is a unit of measurement of energy. 1 BTU is the energy needed to heat 1 pound of water by 1° Fahrenheit. We often refer to the British Thermal Unit as a BTU, but the rating is actually the BTUs per hour, or BTU/h. 1 BTU is the equivalent of 1,055 joules or .293 watts. It is very important to size your heating and cooling system correctly for your home. If a furnace or air conditioner is sized too small it will run constantly and not be able to comfortably heat or cool the space. On the coldest or hottest days the system will not be able to keep up. Alternatively, if the system is sized too large then it will heat or cool the space too quickly, which will cause it to cycle on and off more frequently, causing unnecessary wear and shortening the lifespan of the system. 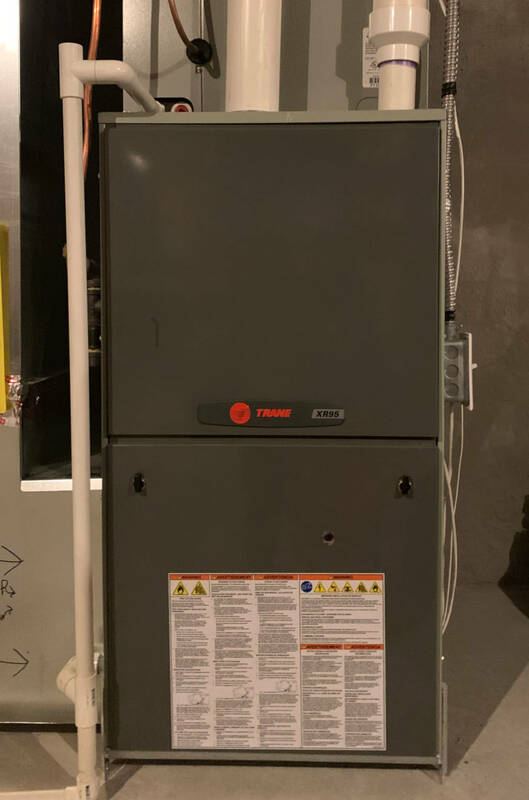 According to the Star Tribune, the constant cycling of an oversized furnace is less comfortable as well, since certain areas of the home heat up too quickly and become too hot before the system turns off. There are several factors to consider when trying to figure out how many BTUs your furnace should be. First, how many degrees do you need to warm your home, or rather, how cold is it outside.A home in the northern region of the US will require more BTUs to heat than a home in the southern region because it gets significantly colder. Refer to the climate map at the top of the page to get a range of BTUs needed per square foot based on your geographic location. The ranges in the heating climate zone chart above assume a home with average insulation. Homes that are poorly insulated may require 10% more BTUs to heat due to heat loss. Very well insulated and tight homes will require 10% less BTUs to heat since very little heat is lost. It may be worth adding insulation to attic spaces and walls to reduce the amount of energy needed to heat the home. Furnaces are rated on their BTUs of energy consumption, not their BTUs of energy output. A more efficient furnace will output more BTUs of heat than a less efficient furnace with the same BTU rating. For example, if a furnace is rated at 100,000 BTUs and is 80% efficient, then the heat output will be 80,000 BTUs (100,000 x .8). However, if a furnace is rated at 100,000 BTUs and is 92% efficient, then the heat output will be 92,000 BTUs (100,000 x .92). It may be worth considering a more efficient furnace as less energy will be used to achieve the same heat output. Smart thermostats can also improve the efficiency of your heating and cooling system. By learning when you’re at home and when you’re away, these thermostats can turn down the heat while you’re typically away and turn it up prior to your normal arrival. By learning your behavior these thermostats can save you money. They also allow you to control your heating and cooling from your smart phone, so you don’t even need to get off the couch. We prefer the Nest thermostat, but there are several other great smart thermostats on the market. Professional heating and cooling installers can provide a much more detailed analysis of your home to select the correct furnace and air conditioning size, tailored to your needs. Consider getting a free heating and cooling estimate for your home. Professional installers will consider your home’s insulation, door and window sizes and locations, ceiling heights, ducts sizes, and other constraints that affect the choice of system. Learn more about the cost of the average furnace installation. If you’re sizing a cooling system, check out our window air conditioner size calculator to help determine what size air conditioner you will need. If you’re charging a cooling system, check out our refrigerant line charge calculator. Are You Planning a Heating & Cooling Project? Get hassle-free estimates from local heating & cooling professionals and find out how much your project will cost.